Less is more and outdoor and ceremony area of roofless church looked stunning so the idea was to keep things simple with a combination of white and green for the colour palette, a large flower arrangements displayed on white coloums and trasparent vases with lime’s fruits, white and green hidrangeas and roses and baby’s breath. 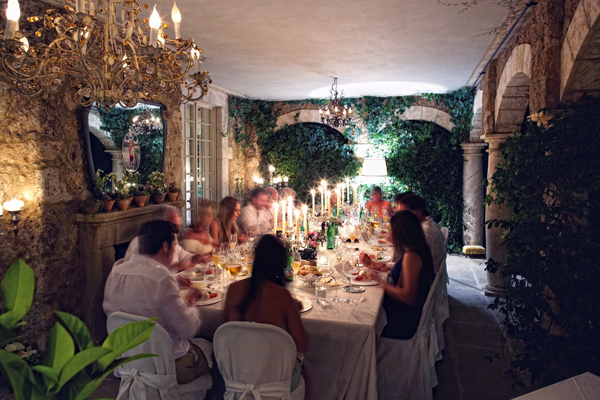 Amy choose elegant and delicate and hand-tied bouquet of white calla lilies, perfect for her look. 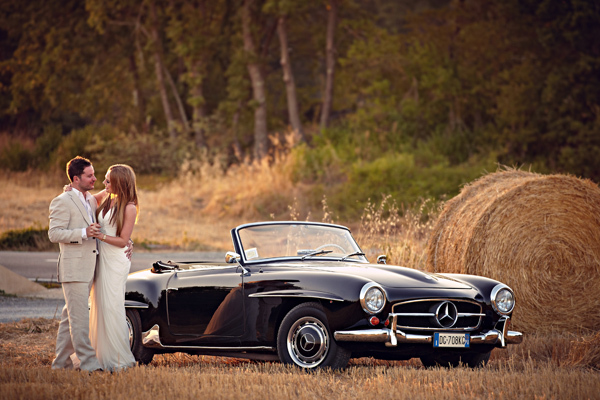 “We always wanted to get married in Italy and honestly we fell in love with this amazing landscape of Tuscany. 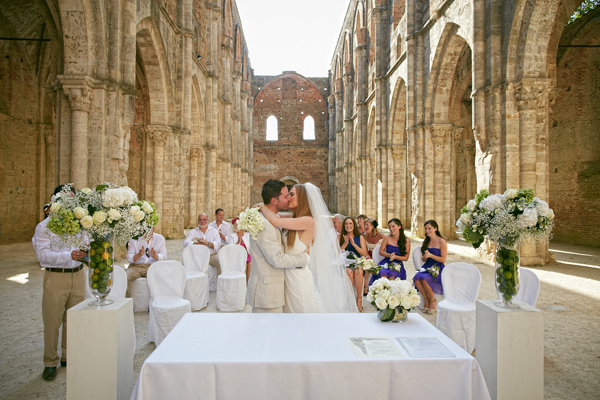 When first time we visited San Galgano abbey of 12th century and Relais Borgo Santo Pietro, we istantly thought that it was where we want to exchange our vows… and it was simply memorable!